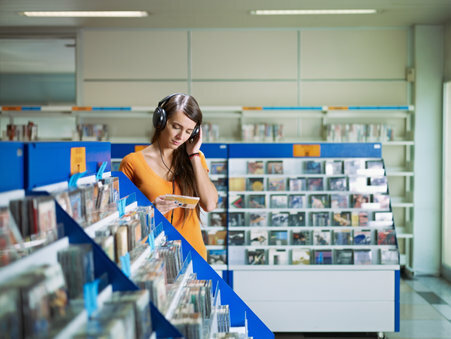 Although millennials’ memory of recent pop tunes drops quickly, their ability to identify top hits from the 1960s through 1990s remains moderately high. Christopher Intagliata reports. New York University’s Pascal Wallisch studies what’s called neural data science—dealing with the huge amounts of data that come with studying neuronal activity. And he says our recall of presidents is governed by two factors: what’s known as the primacy effect—who came first—and the recency effect—who’s been around lately. So his team asked more than 600 volunteers—most of them millennials—to listen to snippets of Billboard number one hits from 1940 to 2015, and to say whether they’d heard the songs. But then the recency effect stalled. Because rather than continuing to drop in recognition back through the ’90s, ’80s, ’70s and ’60s, songs in that 40-year period saw a steady plateau of recognition among the listeners. Within which was noticeable variability in song recognition, despite the fact these were all number one hits in their day. As for Wallisch? “I listen to the softest pop you can imagine.” And, an even more obscure genre: “I like to listen to my data.” <data music sample> Digital music is just numbers, after all, and with certain programs you can analyze your data by listening to it. Just don’t count on all those numbers turning into number one.